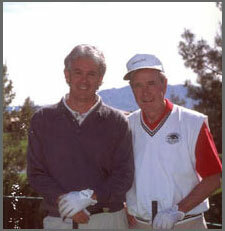 Bio on Best-Selling Author Jack Sheehan, Las Vegas, NV. Biographies and Memoirs Writer. 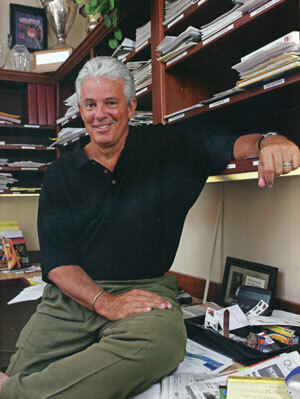 Jack Sheehan has been a professional writer for 35 years, has written over 1000 articles for regional and national magazines on a wide range of topics, been an award-winning newspaper columnist, published 18 books, sold three screenplays to Hollywood, and is frequently hired as a guest speaker for conventions in Las Vegas. He has also produced a full-length documentary film. 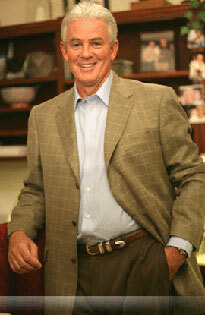 His subject matter has ranged from sports and entertainment to business and politics, and his books range from a history of the U.S. Naval Academy at Annapolis to the world of professional golf, to the rich and varied evolution of modern Las Vegas. 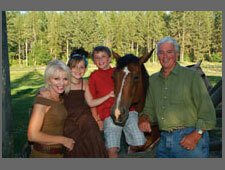 He lives in Las Vegas with his wife Carol, and children, J.P. and Lily. In the last five years he has specialized in publishing full-length biographies of successful and colorful people and shorter memoirs. 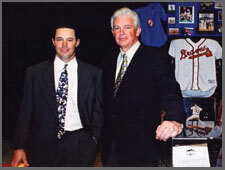 Jack with his wife Carol, and their children, Lily and J.P.
Jack Sheehan with professional baseball player Greg Maddux. 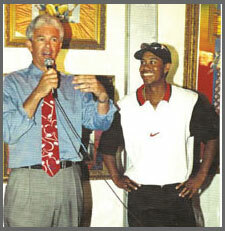 Jack Sheehan with professional golfer Tiger Woods.